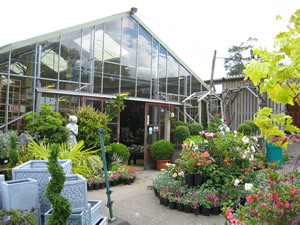 This thriving garden centre has a great range of plants for the beginner to the discerning plantsman. A full range of sundries will support almost any job you want to undertake in your garden. Helpful staff are always on hand to advise. The centre specialises in outdoor living keeping a large range of outdoor furniture, outdoor heaters and BBQ's. The charming Terrace Cafe offers warming breakfasts, light lunches and a wide range of homemade cakes and snacks. The Cafe uses local produce where possible whilst the cheeses scones have an international following. Why not pop in for a homemade scone or piece of cake and enjoy the far reaching views over this remarkable piece of English countryside. A warm welcome awaits you. Within the garden centre a aquatics centre can supply all your indoor and outdoor pond, aquarium and fish supplies.